Local California based agency, SKS Insurance, is excited to expand its reach and offer comprehensive insurance solutions to area residents and businesses. The agents at SKS Insurance Agency are devoted to building long-lasting relationships with the California community, while providing comprehensive and affordable insurance solutions. California insurance agency, SKS Insurance Agency, is excited to announce the launch of its new website and interactive digital marketing campaign. This new and improved way of marketing is designed to advance the way the agency connects with, markets to, and serves its community. SKS Insurance Agency has partnered with Astonish– an insurance digital marketing, technology, and sales training company that specializes in modernizing the way the local insurance industry does business – to create an innovative, new online marketing strategy. The agency’s new marketing strategy features an exclusive “Virtual Insurance Office” meant to improve consumer engagement as well as provide the visitor with a personalized experience. The Astonish campaign is also designed to help the agency both find and keep new, prospective clients while continuing to broaden the agency’s reach across the state of California. The agency’s new website, http://www.sksinsuranceagency.com/, is divided into separate categories, making it simple for online insurance consumers to find exactly what they need. The ultimate goal is to make the online shopping experience both simple and educational for prospective and current clients. With a wide array of product offerings, SKS is a clear choice for California residents and business owners. SKS Insurance Agency specializes in standard personal policies such as, auto, home, and life, as well as business products, like specialty businesses, and group benefits. The agents at SKS Insurance Agency are devoted to building long-lasting relationships with the California community, while providing comprehensive and affordable insurance solutions. To be a part of the agency’s exciting development, fill out a free quote form online or get social with the agents on various social media sites. Those interested can also give the agency a call by dialing 877-857-1908. SKS Insurance Agency is excited to move forward with this initiative and looks forward to sharing the excitement and experience with the rest of its community! 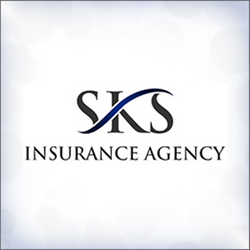 SKS Insurance is a full service insurance agency located in Seal Beach, California. Their commitment to unmatched customer service promises someone to talk to, to answer questions, file a claim, or consult on further insurance products. SKS set itself apart from the large carriers depicted on television, by shopping multiple insurance companies to insure their clients receive quality insurance at the lowest possible cost.